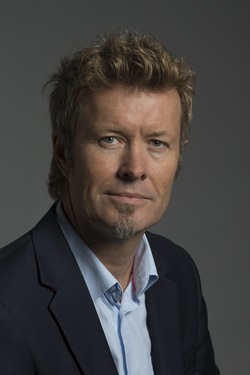 In connection with its 10th anniversary, the University of Agder in Kristiansand, Norway, has appointed Magne Furuholmen as one of five new honorary doctors. The recipients are given the honorary doctorates for their “significant scientific or artistic efforts”. 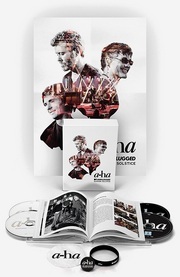 “Magne Furuholmen is one of Norway’s most recognized and versatile artists. He is an innovative and genre-defying artist, and a person that both our staff members and students are inspired by. When collaborating with the university, Magne will probably be working closely with Karl Oluf Wennerberg, who – in addition to being the drummer for Magne, Apparatjik and a-ha – is an Associate Professor at the Department of Popular Music. The five honorary doctors will attend the University of Agder’s 10th anniversary celebration at Kilden concert house in Kristiansand on 28 November. Magne has previously been a guest professor at the The College of Fine Arts in Shanghai, China and is an honorary mentor at the Gutenberg Academy in Germany. He has also hosted workshops at the Hanoi University of Fine Art in Vietnam, at Burg Giebichenstein University of Art and Design in Germany and at the Trondheim Academy of Fine Art in Norway. In other news, Magne and Queen Sonja were in Aarhus, Denmark on Thursday this week, for the opening of another of their joint Texture exhibitions.